The Creepy and Kooky Return in 'Addams Family' Trailer - Horror News Network - The Horror News You Need! Today MGM released a teaser trailer for the upcoming film providing us a glimpse of what we can expect once it arrives in theaters. The trailer, which is over a minute, features the iconic characters made famous by cartoonist Charles Addams. Looking almost as if they stepped right out of Addams’ cartoons we see Gomez, Morticia, Wednesday, Pugsley, Lurch, Thing, and Fester in all their animated glory. 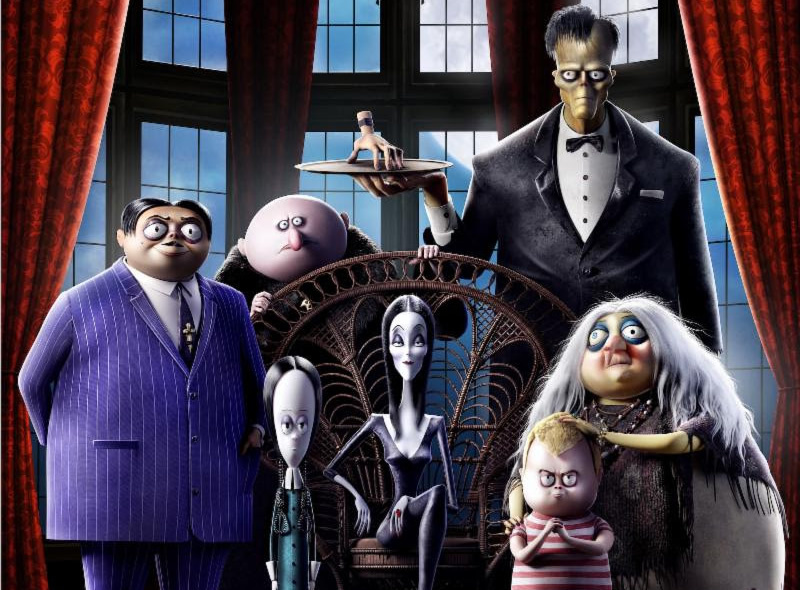 Directed by Conrad Vernon and Greg Tiernan, The Addams Family showcases an array of voice talent including Oscar Isaac, Charlize Theron, Chloë Grace Moretz, Finn Wolfhard, Nick Kroll with Bette Midler and Allison Janney. Gail Berman, Conrad Vernon, Alex Schwartz, and Alison O’Brien serve as producers of the production. The animated film is set to hit theaters on October 11, 2019. Stay tuned to Horror News Network for the latest on The Addams Family.